Joseph H. Good died peacefully on Sunday, March 26, 2017, at the age of 90. Joe was born in Frederic, WI, August 22, 1926. At 17 he joined the Navy during WWII, and proudly served on the USS Kalinin Bay. After the war he moved to Gladstone, Oregon, where he met his wife, Jennie Misley. He started a long career with Chrysler Corp., and retired in 1987 after 33 years. Joe was an avid fisherman. He loved spending time at the family cabin on the Wilson River near Tillamook. 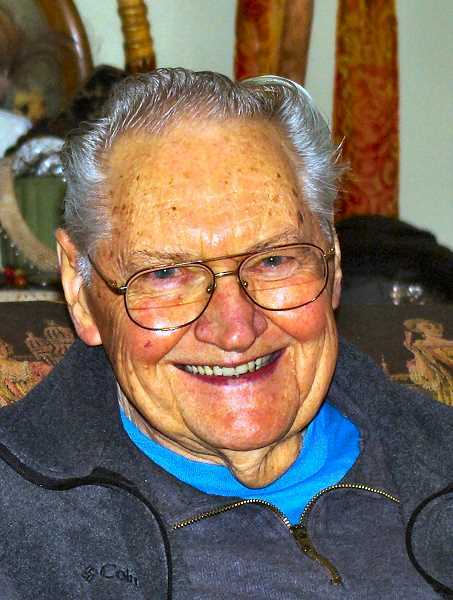 Joe lived in the Westmoreland area for over 60 years. He was preceded in death by his older eight siblings, and his wife of 39 years, Jennie M. Good. He is survived by his two daughters and son-in-laws, Stan and Cindy Overstreet of Portland, and Tim and Terry Kittleson, of the City of Milwaukie. Honoring his request, there will be no service.